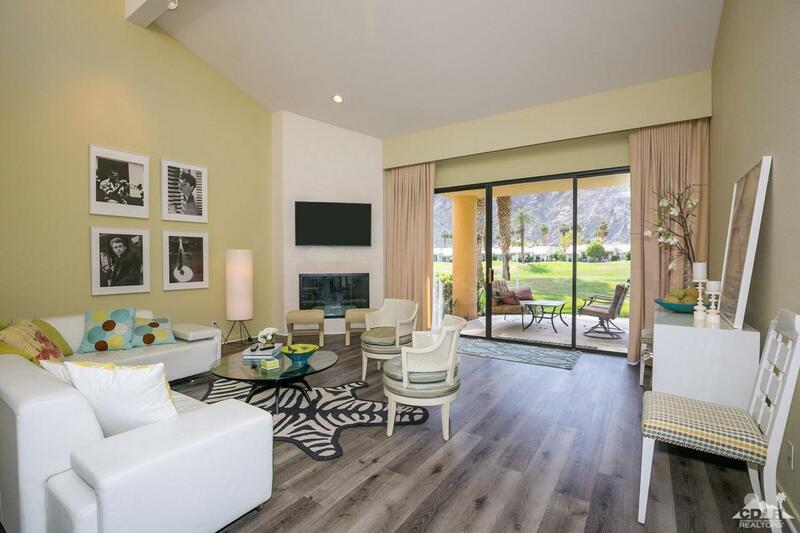 Premium location with unobstructed views of the Santa Rosa Mountains and the 11th fairway of the Palmer Private Course. One of the best locations for views in PGA West! 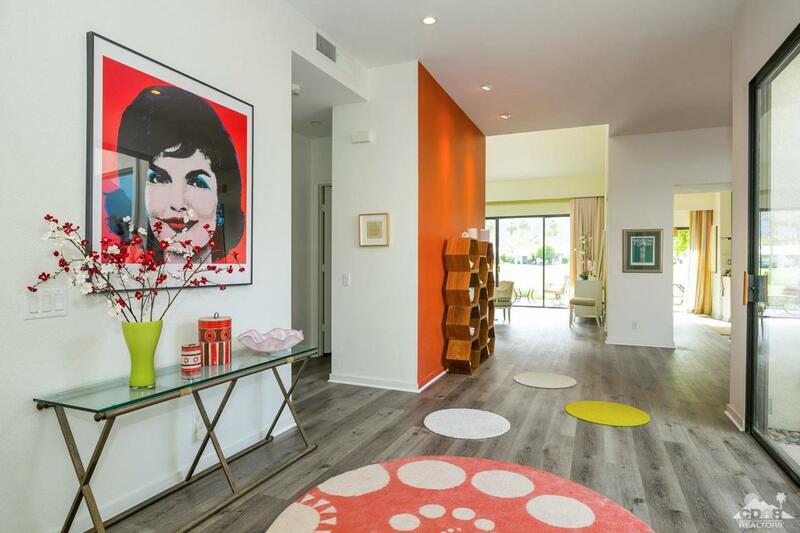 This Legends 10 condo is 3 bedrooms & 3.5 baths and is light & bright with a very mid-century feel. In 2006 The kitchen was updated with high-end stainless steel appliances, all are top of the line & rarely used. In 2018 brand new white quartz counter tops with white tile backsplash were installed. The flooring throughout was just laid as of March 2018. It is light wood tone and makes the condo even brighter and very updated. In addition, the condo is being offered furnished per inventory list, to include all pots, pans, dinnerware, and kitchen items. Just bring your toothbrush and enjoy the Desert Lifestyle at its best! Come see for yourself!